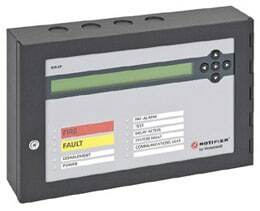 The IDR-2P passive repeater is an indication only repeater. The back lit LCD and the common system status LED's follow the indication on the main fire alarm panel. Furthermore the IDR-2P passive repeater has configuration and test functions such as Lamp Test, LCD Test, and Buzzer Test. 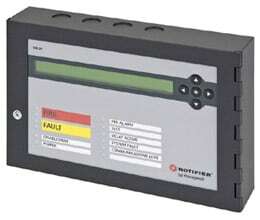 The nine LED indicators provide a quick summary of the general system status for the user. The compact design makes it very easy to install and commission the IDR Series repeaters. 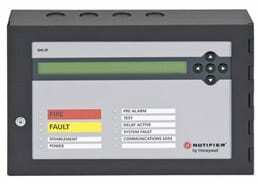 The repeater's event log can store up to 150 most recent events; this also aids commissioning.